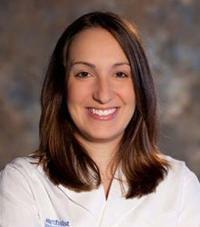 Dr. Shari Liberman is a board-certified, and fellowship-trained orthopedic surgeon who specializes in pediatric and adult orthopedics of the hand and upper extremity. Her clinical expertise is in minimally invasive endoscopic and arthroscopic procedures, injection therapies and nonsurgical treatments of the hand and upper extremity. She obtained her medical degree from Temple University School of Medicine in Philadelphia, PA, completed her orthopedic surgery residency at Baylor College of Medicine in Houston, TX, and a fellowship in hand surgery at Stanford University School of Medicine in Redwood City, CA. Dr. Liberman's areas of interest include carpal tunnel syndrome, cubital tunnel syndrome, Dupuytren's disease, trauma, fractures, tendonitis, arthritis and peripheral nerve injuries of the upper extremity. She is currently involved in research in the prevention and treatment of complex regional pain syndrome. Dr. Liberman is a consulting physician for the Houston Ballet and Rice Athletics, an assistant professor for Clinical Orthopaedic Surgery at Weill Cornell Medical College and assistant program director for the Houston Methodist Orthopaedic Surgery Residency Program.